LCPSTC Foundation is please to host retired Captain Mike Dugan (FDNY) at LCPSTC on Satruday December 7, 2019. 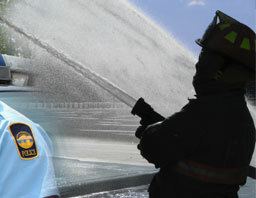 Captain Dugan will present his "American Command" program as well as his "Situational Awareness/Sizeup". Moer details are availabe on the brochure. Cost is $75 per person, please make checks payable to LCPSTC Foundation, and mail to the attendtion of LCPSTC - American Command Program, 101 Champ Blvd, Manheim, PA 17545. Seating only reserved upon reciept of payment and seating is limited, so get you registration in early. *If sending one department check, please provide a list of names of the attendess with the payment. Lancaster County Public Safety Training Center with the support of the Lancaster County Commissioners continues to improve our facilities to meet the ever changing environment of the emergency services. 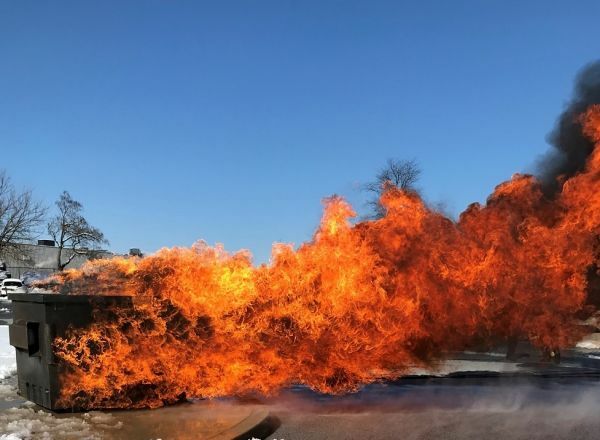 The addition of the dumpster fire training prop allows the fire and emergency services to train on this type of event in a controlled setting were safety is paramount. we hope that Lancaster County emergency responders take full advantage of this training opportunity. Please contact the Fire Service Coordinator to book this prop to meet the training needs of your department, or you can schedule the use of it yourself in the schedule system. © 2019, County of Lancaster. All Rights Reserved.